This 2 Days Microsoft Excel Training aims to provide skills and knowledge from Microsoft Excel software which will allow the participant to increase the efficiency and also simplify your daily task. In this training the participants will learn Excel extensively on the functions, formulas and advance features of Microsoft Excel. You can either choose 2 days course or choose 1 day only for basic or advanced course. But we recommend you to take the 2 days course as you’ll learn all of the basic and advanced items of Excel which you might've missed out. This lesson is designed for the beginner to intermediate but if you're looking to freshen up on your skills, come on in! 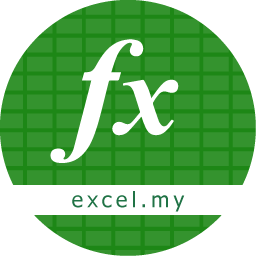 This lesson is suitable for users with a basic knowledge of Excel and wish to cover the advanced topics in Excel. You will learn all the basic to advance excel skills, which will enable you to use Excel expertly within in a personal or commercial environment.